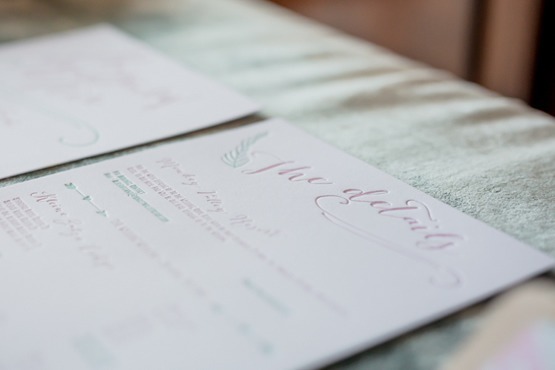 Pastels are always a great way to go especially when you have an organic themed wedding. 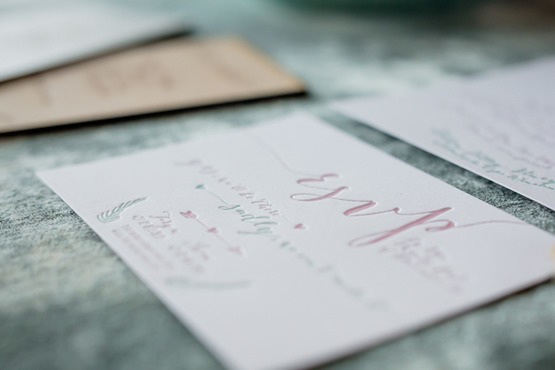 Henry and Kate asked for if we could assist with the printing of their wedding invites including the laser cutting of the elements for their wedding tables. 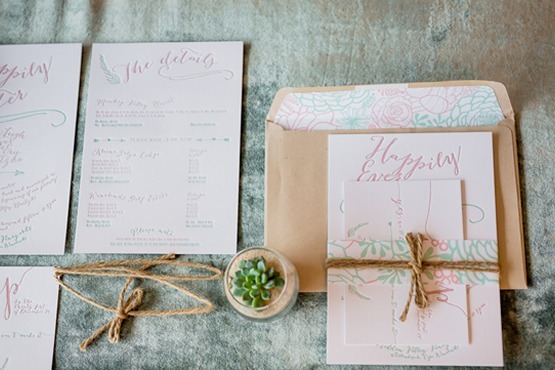 Their stunning invite design matched their soft pink and green pastel tones to perfection. 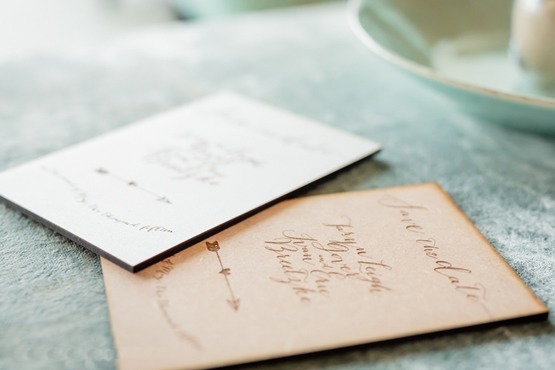 They bundled their invite, directions, and information cards with a simple string brown string and inserted them into an organically recycled envelope that was finished off with a matching envelope liner. 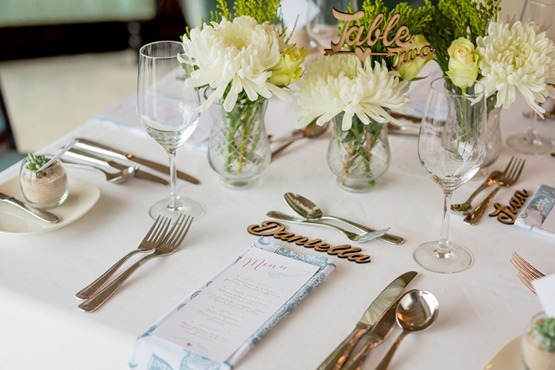 Individual laser cut name tags we added to each table and were a great way to make each guest feel special. 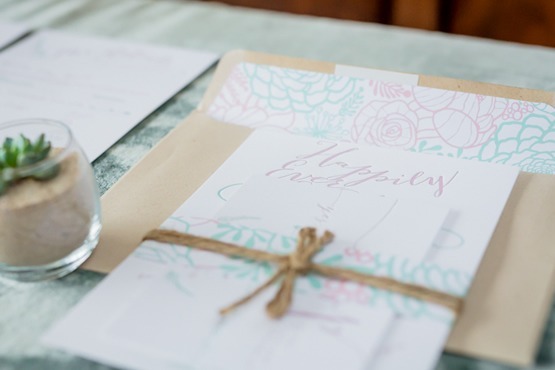 They were matched together with some letterpressed menu cards and lasercut table numbers were placed inside single floral glasses. 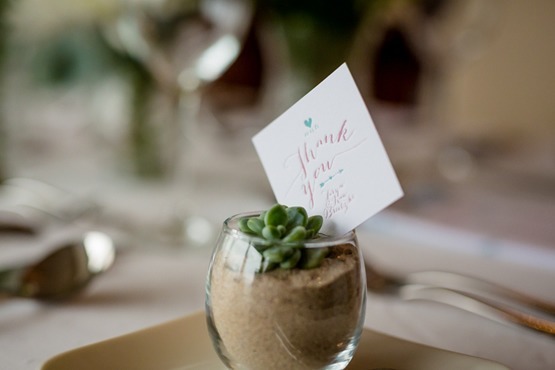 We added small succulent plants to complete the overall beautiful rustic feel. 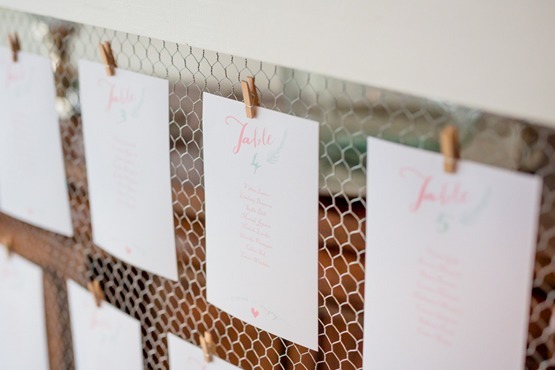 The table seating charts were printed individually for each table and placed on some chicken wire with miniature pegs to add to the overall look and feel.